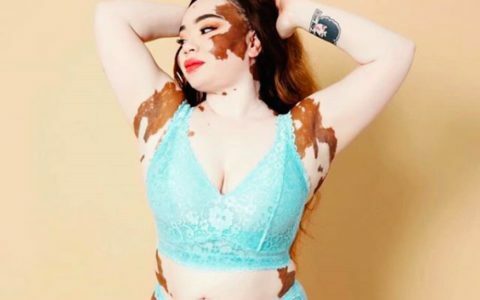 “Love the skin you’re in” became a famous campaign slogan for a reason. We’re all born with a specific skin type. At some point, we have to accept that because we can’t change our skin type, we may as well embrace it. 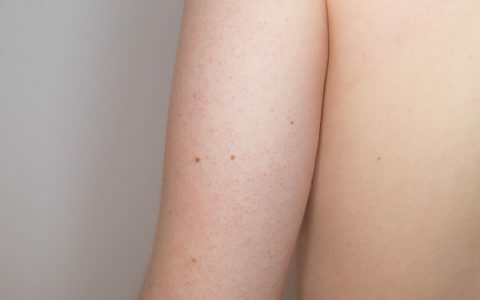 What exactly does skin type mean? Simply put, skin type is how your skin looks, feels, and behaves. The term indicates the levels of oil and water in your skin, meaning how dry or moisturized your complexion is. Your skin type is determined by genetics and ethnicity — everyone is born with a certain type of skin. It’s important to understand that skin type is different than skin condition, which refers to issues such as acne, dehydration, sun damage, hyperpigmentation, or fine lines and wrinkles. Someone can have normal skin that’s dehydrated and acne prone. Many people have a combination of skin types on their body and, contrary to popular belief, your skin type can change over time. However, skin types typically change gradually throughout our lifetimes, not from season to season. 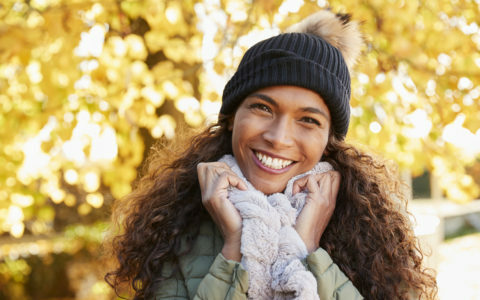 It’s also important to note that while you can’t change your skin type, you can give your skin some TLC to compensate for what it may be over or under producing. Skin type is impacted by external factors such as the weather, sun exposure, pollution and skin care products and internal factors, like stress, hormone levels, skin disorders, medications, diet and hydration. The four most common skin types are normal, oily, dry, and combination. Normal skin is typically smooth and clear, with small, nearly invisible pores and a healthy balance of sebum production and moisture. The skin sheds its cells and layers normally, is radiant and has very few imperfections. Oily skin is characterized by a shiny surface, caused by the overproduction of sebum. Sebum is a natural mixture of fats, waxes, and oils that’s secreted from our sebaceous glands. Those with oily complexions typically have thicker skin, larger pores and are prone to blackheads and blemishes. Combination skin is one of the most common skin types, and is a blend of dry and oily skin. Those with combination complexions typically have drier skin on their cheeks and near their eyes, but an oily t-zone (the forehead, nose, and chin). Combination complexions usually feature enlarged pores and shiny skin and may be prone to breakouts and blackheads. The easiest, most reliable way to determine your skin type is by visiting an esthetician or dermatologist. They’ll look at your pore size and your skin’s levels of sebum and moisture to determine how dry or oily your skin is. Not able to make an appointment? There’s an easy way to determine your skin type at home. Start by washing your face with a mild cleanser, like SLMD’s Salicylic Acid Cleanser. Gently pat your face dry, then leave your skin naked — don’t apply any products, and do your best to avoid touching your face. An hour later, examine your skin in the mirror. Notice how it feels. Is your face tight, especially when you smile or squint? Is there any noticeable shine? Next, grab a blotting sheet (or just a tissue) and dab it across all the different areas of your face. How much oil is visible? If it’s relatively oil free, but your skin feels parched and tight, you likely have dry skin. If the tissue is clean but your face feels hydrated, you likely have normal skin. If there’s excess oil on the sheet, you probably have oily skin. Notice where on the face that oil comes from though — if it’s in the t-zone, it’s likely that you have combination skin, not simply oily or dry. What’s the benefit of knowing your skin type? With a clear understanding of what skin type means and what your skin type is, it’s much easier to choose the right skincare products. If a product isn’t good for your skin type it will certainly be ineffective, but it can also be damaging or irritating. Not only will this aggravate preexisting skin conditions, it may even cause new issues to arise. Regardless of what type of skin you were born with, there are some general tips that everyone should abide by. For starters, don’t smoke. Avoid direct sunlight, and regardless of the weather, use a broad spectrum sunscreen that protects from UVA and UVB rays. Stay hydrated by drinking plenty of fluids, wash your face twice a day, never wear makeup to bed, and always use a moisturizer. Kill two birds with one stone using SLMD’s Daily Moisturizer with SPF 15. Want to make sure your regimen is on point? Work with a dermatologist or skin care professional to determine the best products for your complexion and skin type.